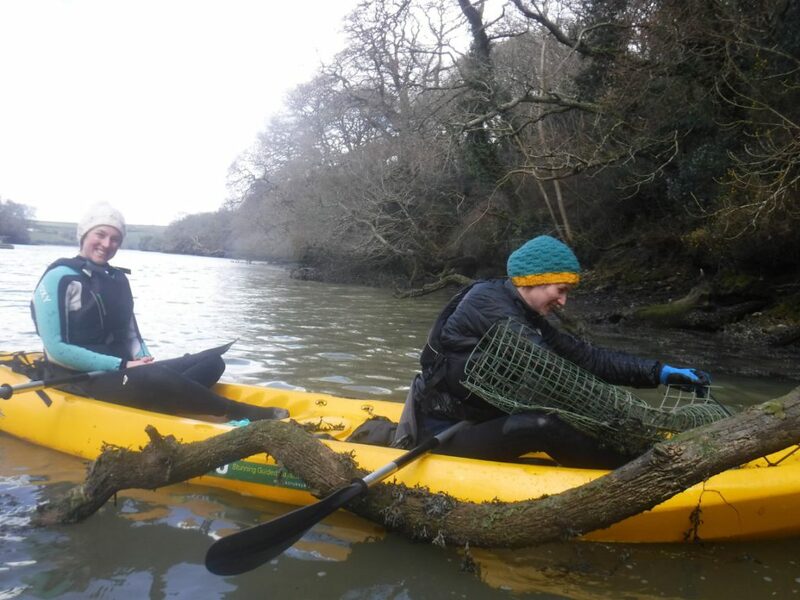 The Helford River and creeks are all part of the Helford River Conservation area and so generally very clean with no litter. However, with the recent windy weather we did encounter some surprising things in Frenchman’s Creek today on our Frenchman’s Creek Kayak Adventure. The rising tide had brought in some interesting plastic debris into Frenchman’s Creek that had lodged itself on the fallen trees. These trees are a popular habitat for birds. Whilst kayaking along the creek we saw Shelducks, Drakes, Egrets and Swans all whose necks could easily be caught up in the fencing. Thankfully Hetty spotted it, picked it up and added it to some other fencing found floating on the creek. Beth spotted a plastic pampers wrapper floating on the water surface. A potential hazard for fish and bird life. We picked up and put it in the kayak ready to be put in the bin. 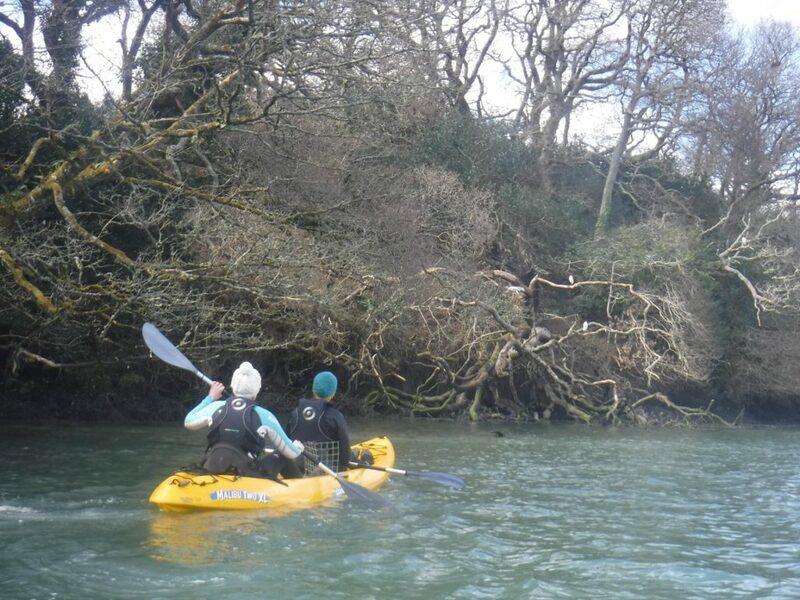 One of the attractions of kayaking on the Helford River and Frenchman’s Creek is the amazing wildlife. In the photo above you can see kayakers glancing up at the Little Egrets in the trees. 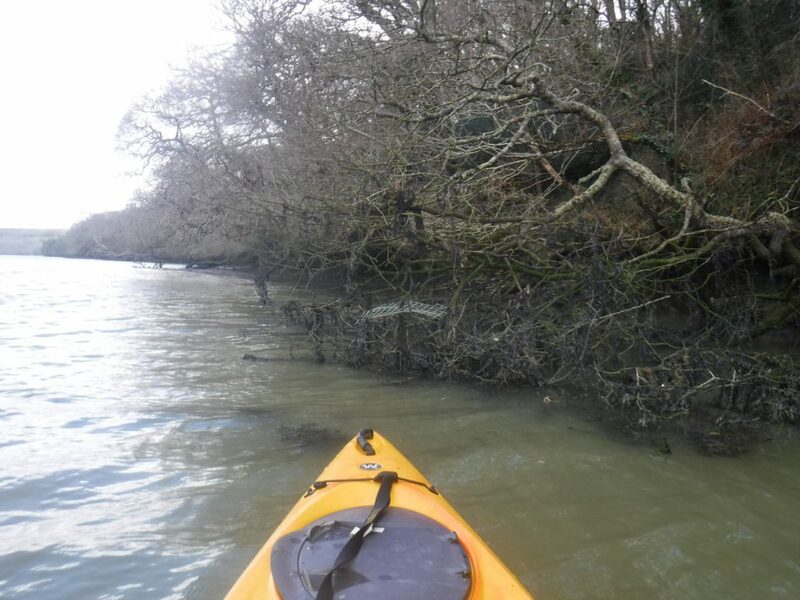 Thankfully we picked up the plastic fencing, which can be seen in the kayak, that otherwise would have been left floating on the creek as a potential hazard to wildlife. 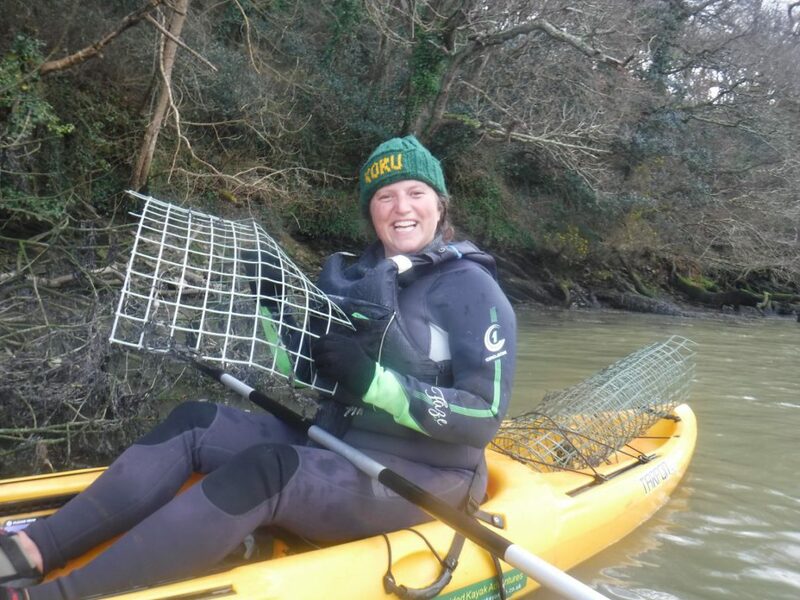 Pictured above Rachel rolls up a large piece of plastic fencing found on the creek today a potential risk to wildlife who could easily get caught up in it. 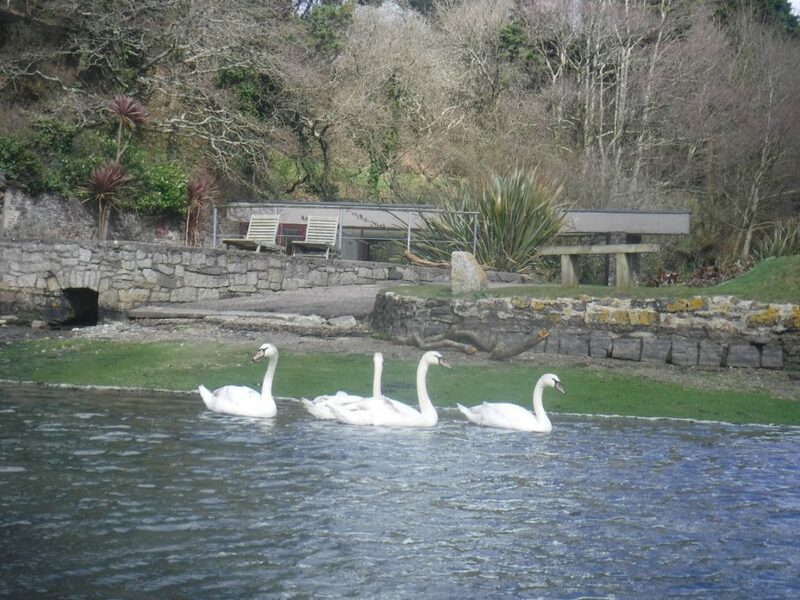 Arriving back after a stunning two hours on the water exploring the Helford River and Frenchman’s Creek we are greet by four stunning swans, safer now we have picked up that plastic debris. 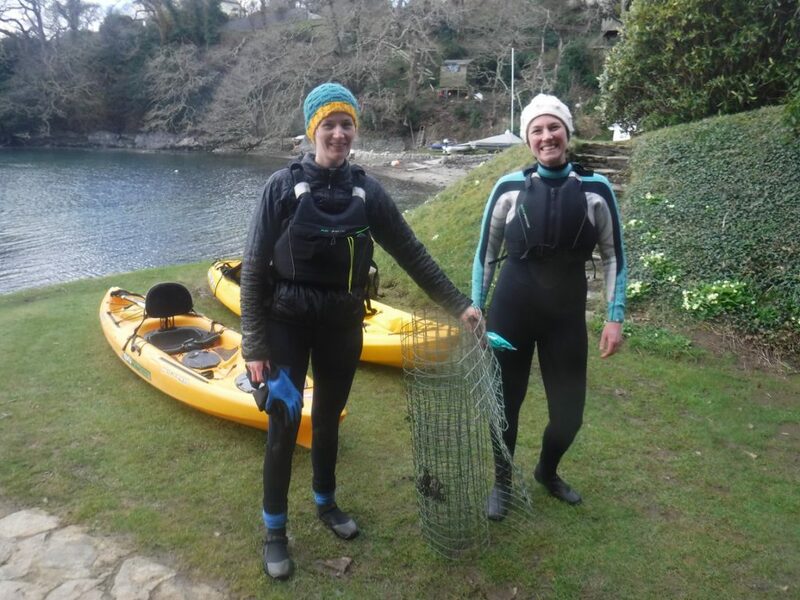 Beth and Rachel with all the plastic debris recovered from Frenchman’s Creek, plastic fencing, a rubber glove and plastic wrapper. 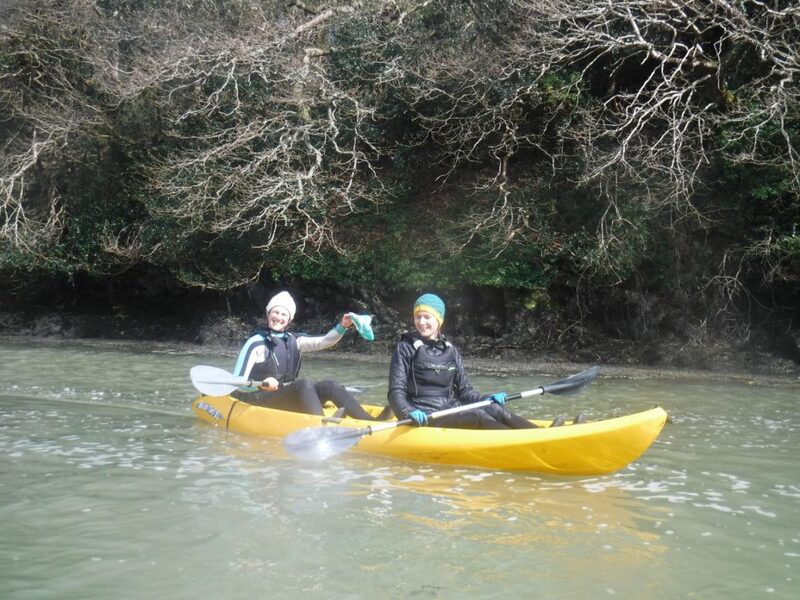 Koru Kayaking pick up any plastic debris we see on our North Coast Kayak Adventures from Trevaunance Cove and on our Frenchman’s Creek Kayak Adventures as a matter of course during all our tours. It is a shame to find debris in this stunning area of outstanding natural beauty, but hopefully we won’t need to soon. 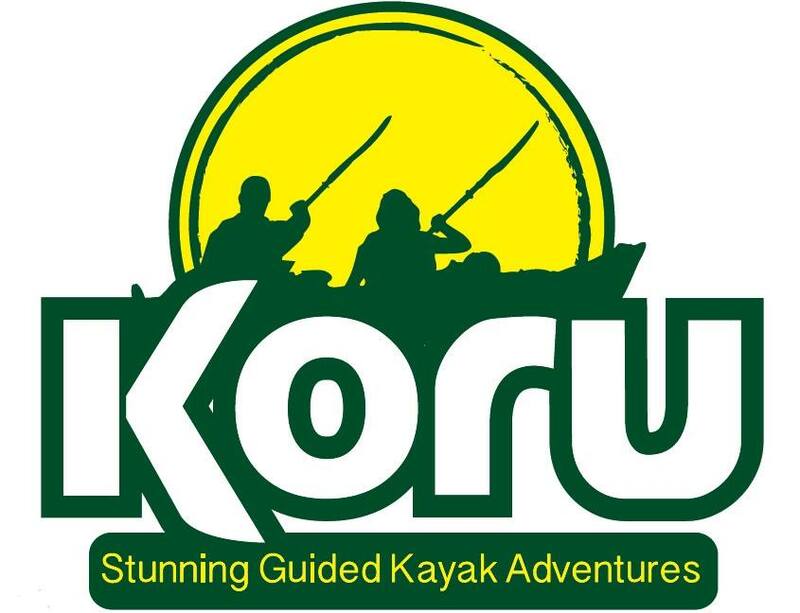 Koru Kayaking aim to leave no footprint using reusable plastic water bottles and buy good quality equipment which lasts. 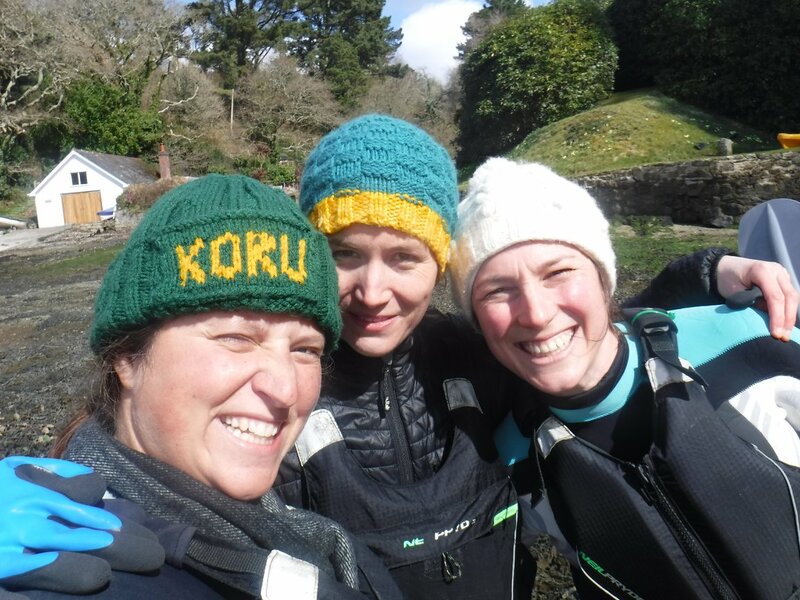 Koru Kayaking are supporters of Cornwall Wildlife Trust and Surfers Against Sewage.